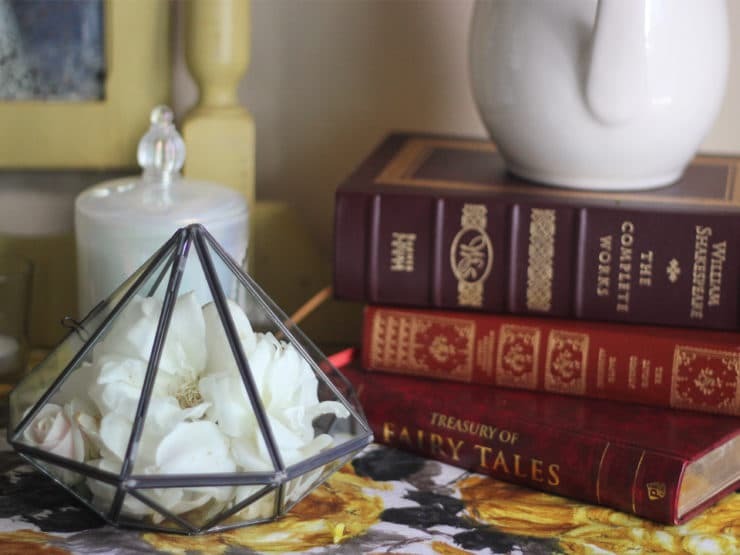 There is nothing I love better than spending a day shopping flea markets and antique malls… not the upscale stores that sell pricey crystal chandeliers or highly-polished furniture that belonged to a prince in some far away land. No, I prefer the dusty, cram-packed consignment shops where you can find anything from old Coke bottles to psychedelic lava lamps, ancient cookbooks, leather boots, abandoned orange crates and everything in between. These little shops are wonderlands of discovery. What I especially love about these places is that every piece tells a story. You might not know it at first, but the deeper you dig, the more history you can find. Every treasure is unique, and it’s not likely you’ll ever come across anything exactly like it again, especially not on an end-cap at Target. Sure, I love a professionally staged home as much as the next Becky-Home-Decky. 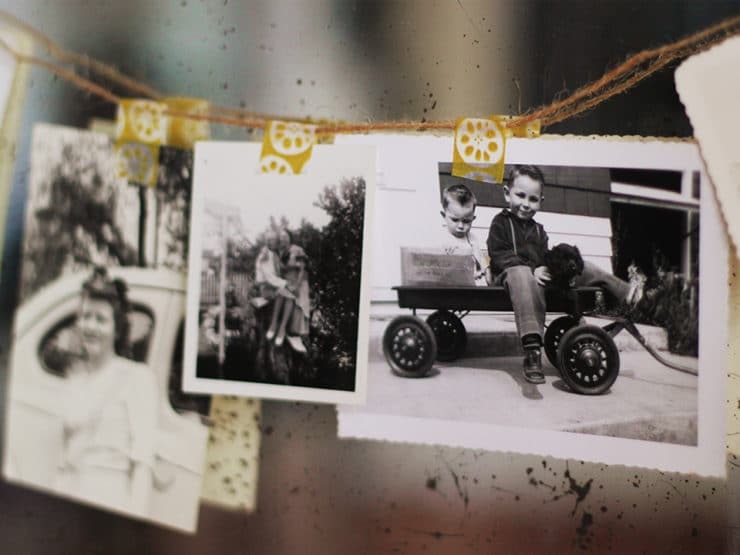 But to me, a home filled with treasures that have stories to go with them is so much more charming. 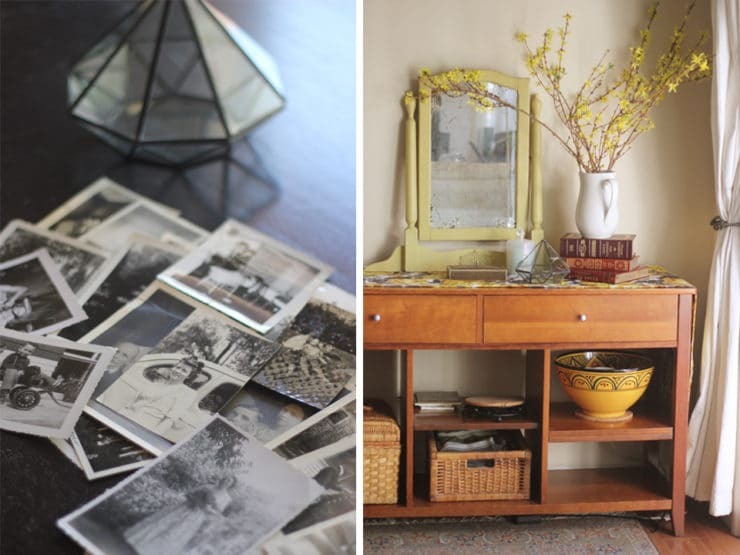 Recently, I came across an old vintage dresser mirror at one of these stores. It’s not anything particularly special. I paid twenty bucks for it, so not a huge investment. I absolutely loved the aged patina of the old mirror nestled inside a frame of weathered yellow wood. It has flecks and ripples, rust spots and nicks. Maybe it belonged to a Peggy Sue from the 1950’s. Did she gaze into it as she got ready for a hot date to the malt shop? Maybe it was repainted in the 70’s by some beehived Betty wearing a long striped polyester dress that reached the floor… I’ll never know, and that adds to the magic of it. It’s a jumping off point for my imagination. 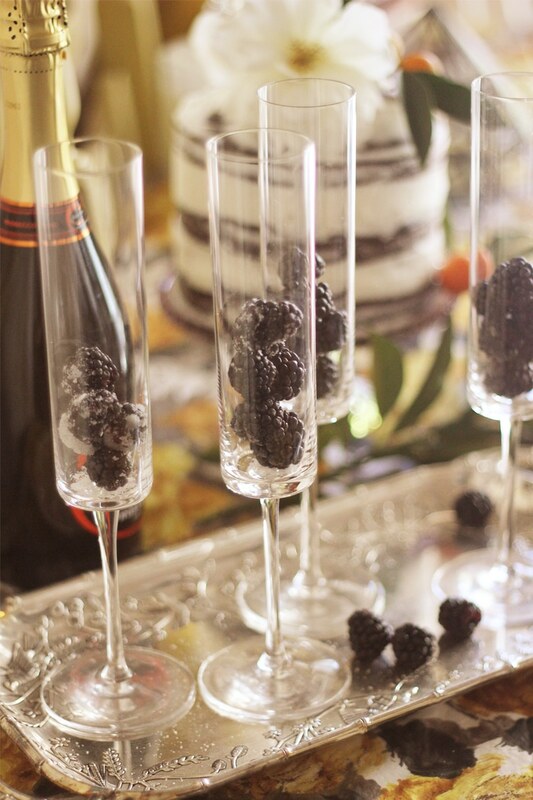 When I’m throwing a party, a simple piece like this can inspire a whole theme. I recently hosted a brunch for some friends and family, so I decided to set up a little vignette with my new favorite mirror on the sideboard beside our dining room table. 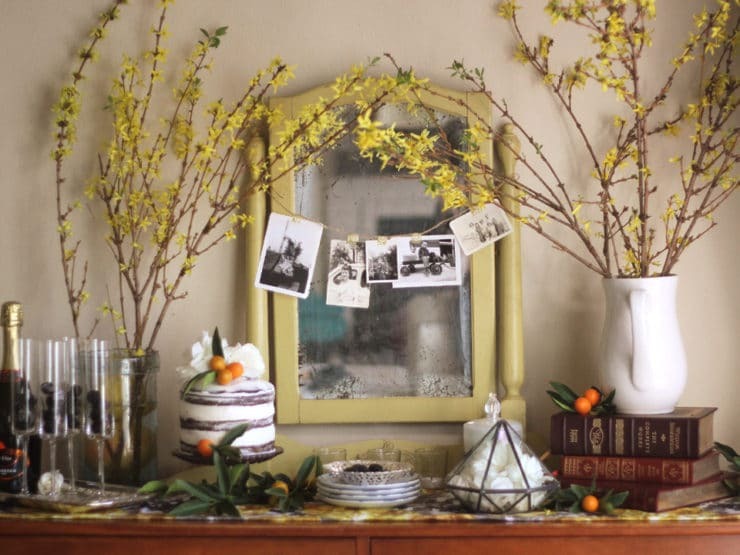 It was a perfect focal point that would set the mood for our party– the theme, Golden Memories, was further inspired by the amazing forsythia branches I happened to find in our local grocery store’s floral department. I always plan my parties around a theme, no matter how big or small. It’s a little trick I picked up from my grandmother. She always threw the best themed parties. 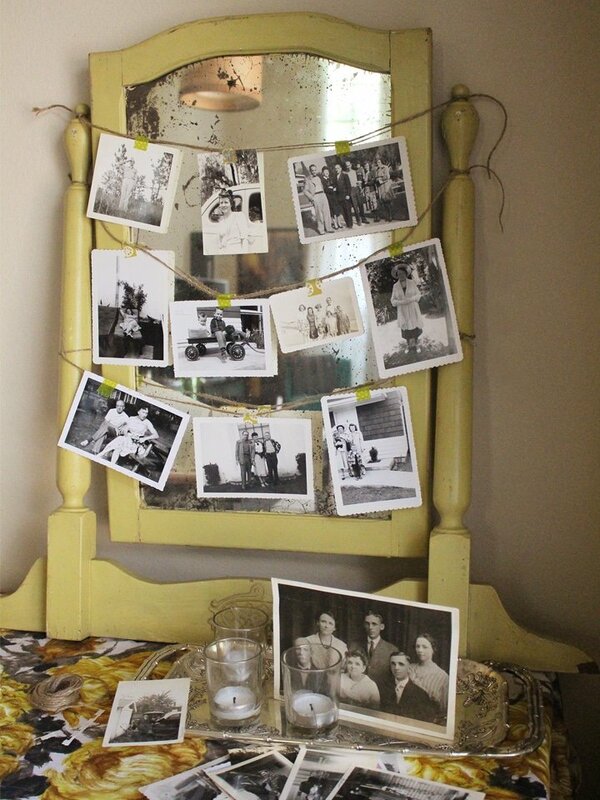 Since I have a stash of old photos that my grandfather gave me, I decided to string them on the vintage mirror. 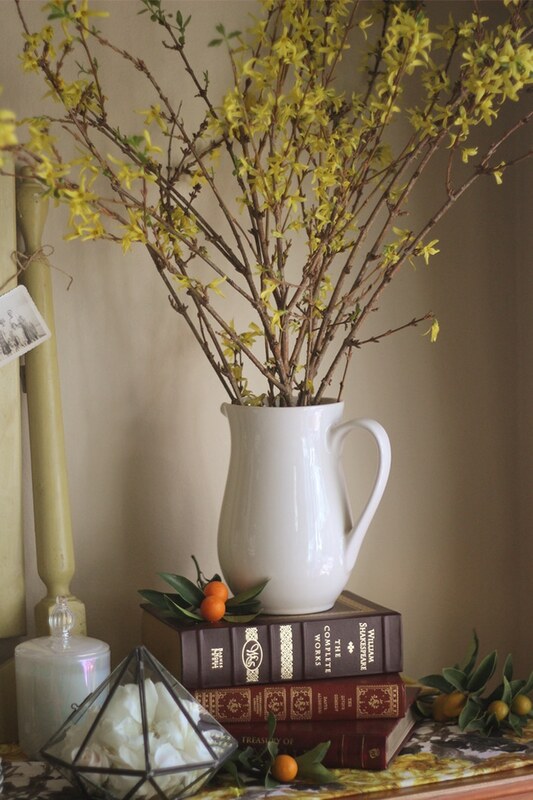 I placed some old books beside the mirror to give my vase of branches some height. It didn’t hurt that the books were classics, which went right along with my theme. I also placed a few trinkets from around my house in clusters of three. The roses were picked from my garden. Speaking of roses, don’t flowers make the best cake decorations? (Only when they’re organic, of course!) They are inexpensive and always look like a million bucks, even when the blossoms are open and ready to drop their petals at any minute. I have a kumquat tree in my front yard that has been going crazy this spring, so I clipped a few branches and added the bright orange fruit as embellishment. An easy trick to get fruit to stay put on top of your cake is to spear them with toothpicks, then stick the toothpicks into the cake. 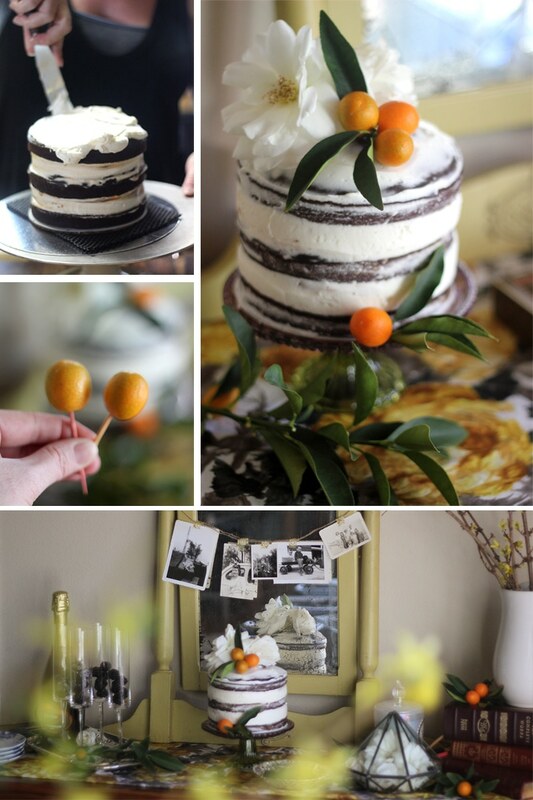 Since the kumquats looked so pretty on the cake, I decided to use them in my other party decorations, too. 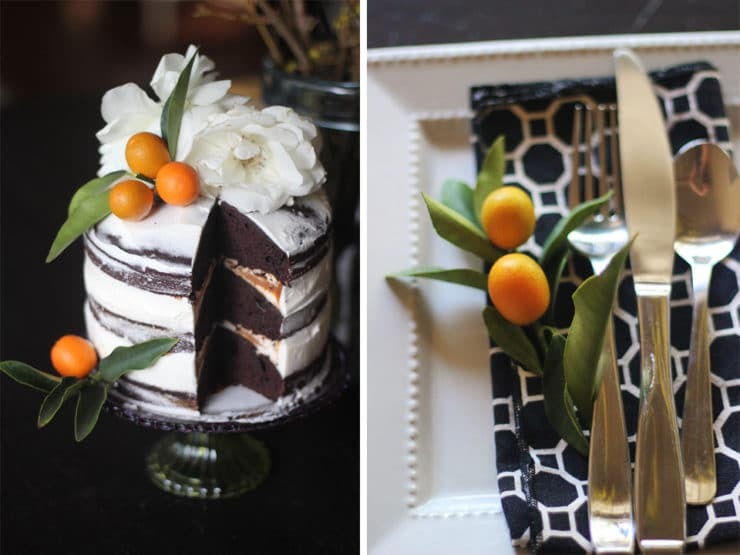 I love decorating with flowers and fruit. They look fresh and festive, and I don’t have to store them in a box when the party’s over. Fruit also made an appearance in our champagne glasses. I rolled some blackberries in sugar to take the bite off their tart flavor, then placed them in flutes. 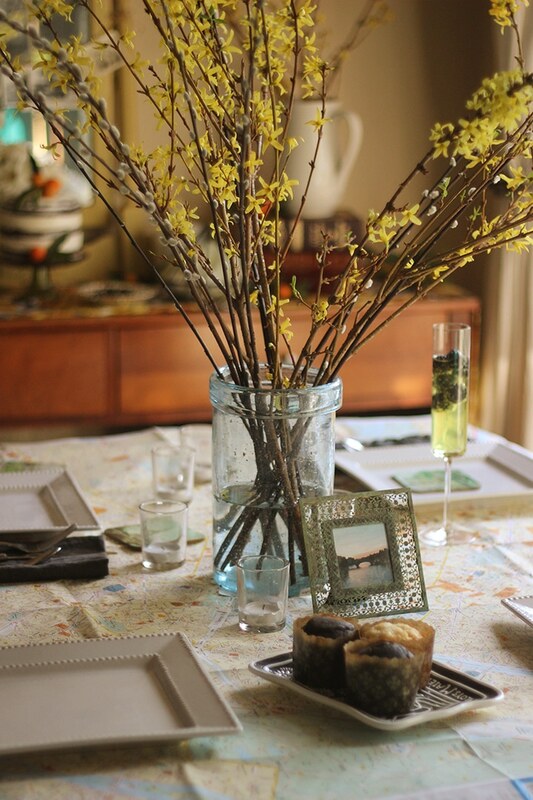 Then I set the table for our brunch. At first I was going to just scatter photos on the top of the table as a conversation starter, but then I worried they might get ruined by drips and sticky fingers. 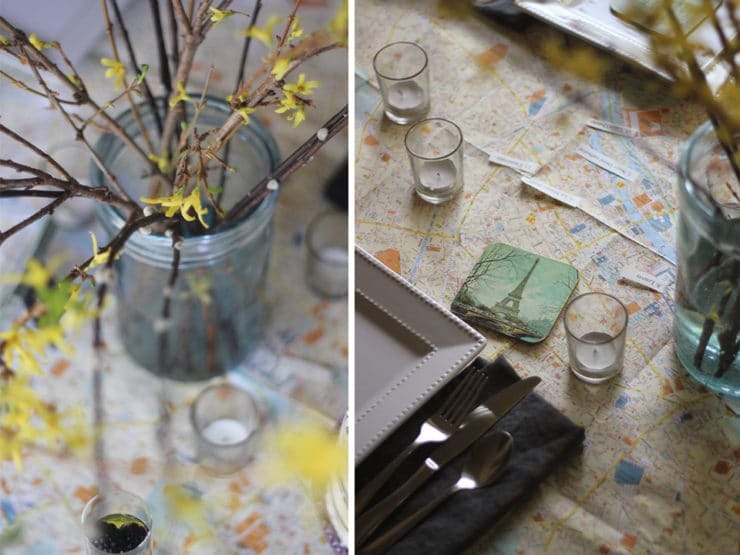 I could have made color copies and used them that way, but in the end I decided to use a giant map of Paris as a tablecloth instead. This would work well for a travel-themed event or a French soirée. I used it to remember a trip my mom and I went on to Paris several years ago, which was definitely a golden memory for both of us. I even marked out places we had visited with little tabs. With everything set up, I was ready for my guests. 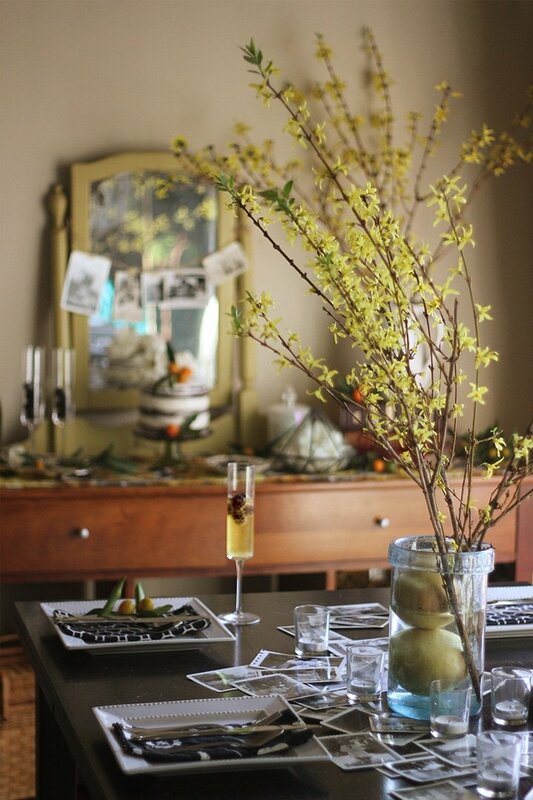 I hope you enjoyed my Golden Memories tablescape! Naked cake generously provided by Elyssa Fournier of Mixed Bakery. To learn more about Mixed Bakery’s baked goods, check her website and follow her on Facebook.